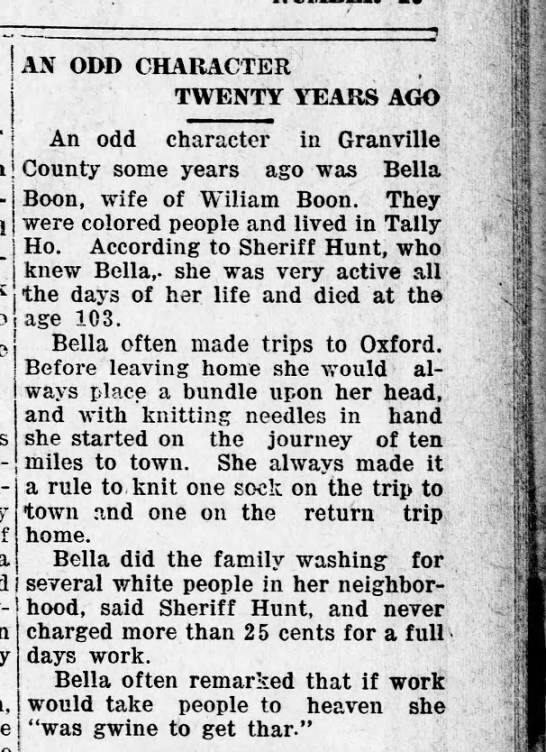 The Native American /”free colored” Hawley/Holly family of Granville County originates in nearby Northampton County, NC and unlike the several lineages that I have discussed so far, the Hawleys cannot positively with documentation be traced back to the Tidewater area of Virginia. 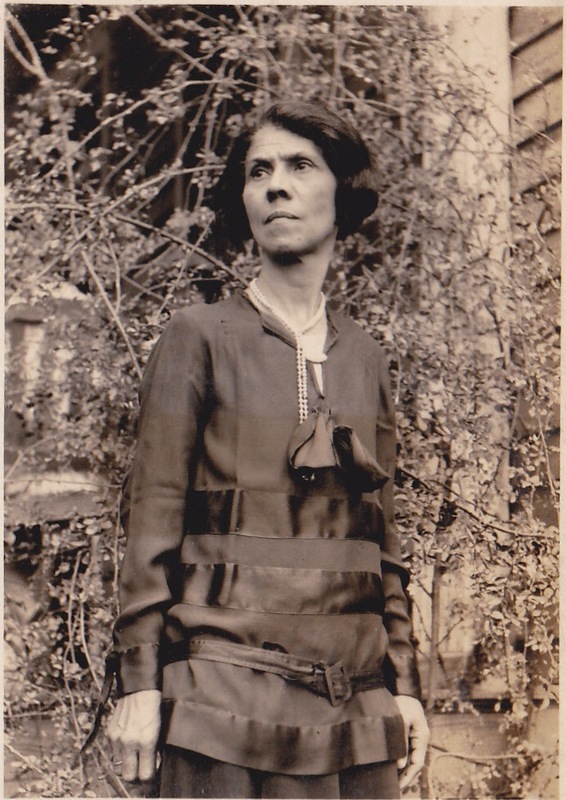 In this blog post, I will give an overview of the Hawley family and explain why I think their origins are tied into both the Saponi and Catawba tribes. Some genealogical information that is referenced came from Paul Heinegg’s research. Micajah Hawley (1700-1752) is the common ancestor of the Hawley family. The first verified records for him are when he purchased 640 acres of land on Meherrin River in then Bertie County, now Northampton County in 1731. In 1738, he sold 300 acres of this land. Micajah’s wife was named Sarah but her maiden name and lineage is unknown. 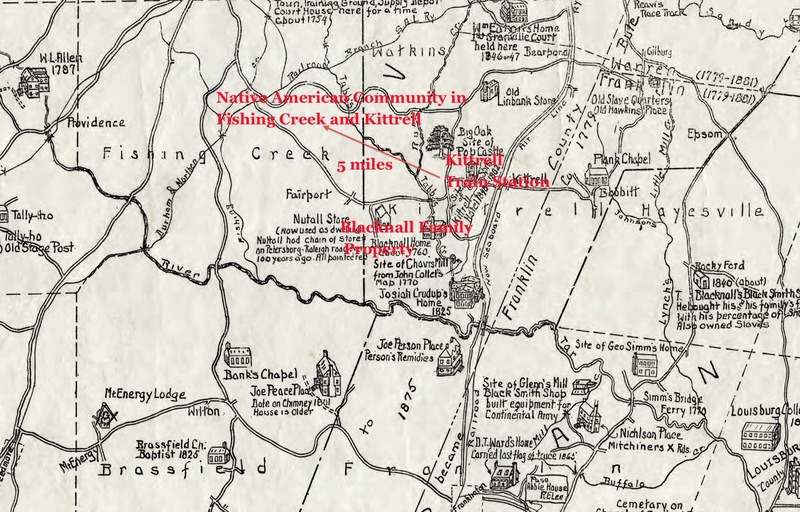 His location in Northampton County at that time, placed him close to the Bass and Anderson families that left Norfolk, VA and stopped in Northampton County for several years before continuing on to Granville. 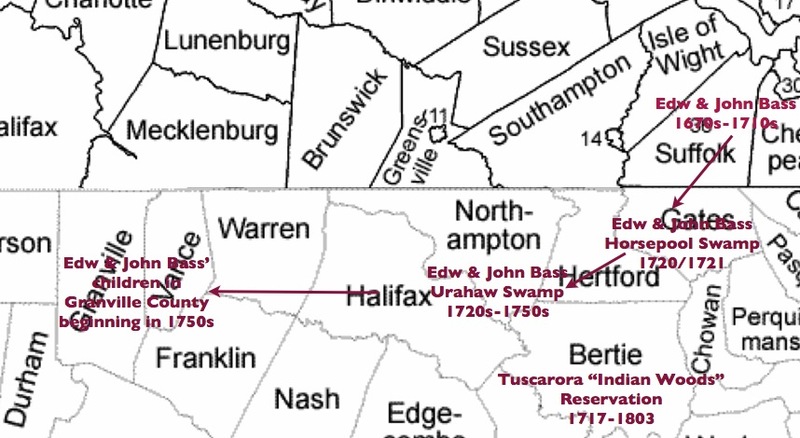 Micajah left a 1752 will in Northampton County which named his heirs, so we’re able to follow his descendants forward. Though his will named all of his children as heirs, Micajah left most of his estate to his son Benjamin Hawley (1735-1805). 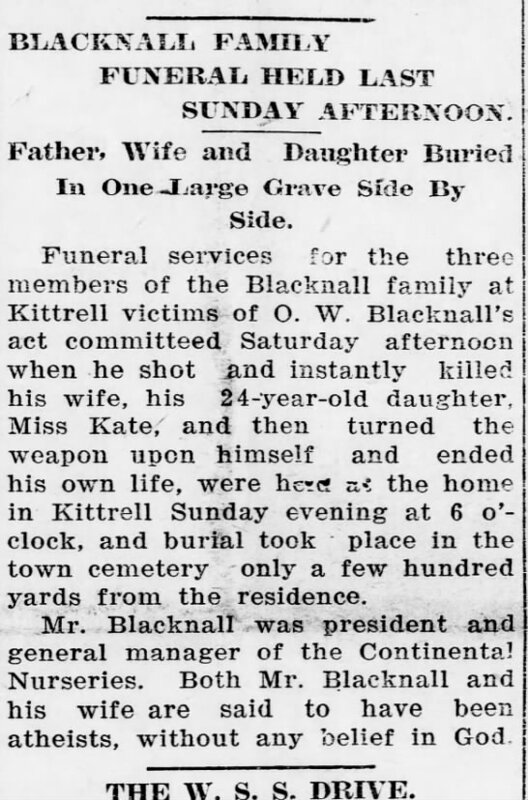 This is likely because by the time of Micajah’s death, his other children had moved with the Basses and Andersons to Granville County and were property owners there. Only his son Benjamin stayed behind in Northampton County to inherit the majority of the estate. Benjamin’s son William Hawley (1760-after 1820) remained in Northampton and had a son named William Hawley Jr who married Lydia Newsom. Benjamin’s daughter Eady Hawley married Nathaniel Newsom (1765-1835). 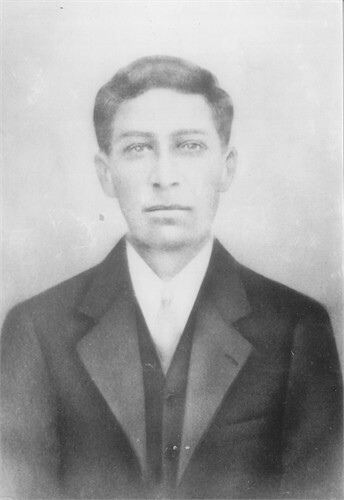 The Newsom family has ties to the Native American community in Northampton County called the “Portuguese Community”. By the 1840s, most but not all of the intermarried Hawley and Newsom family relocated to Ohio. 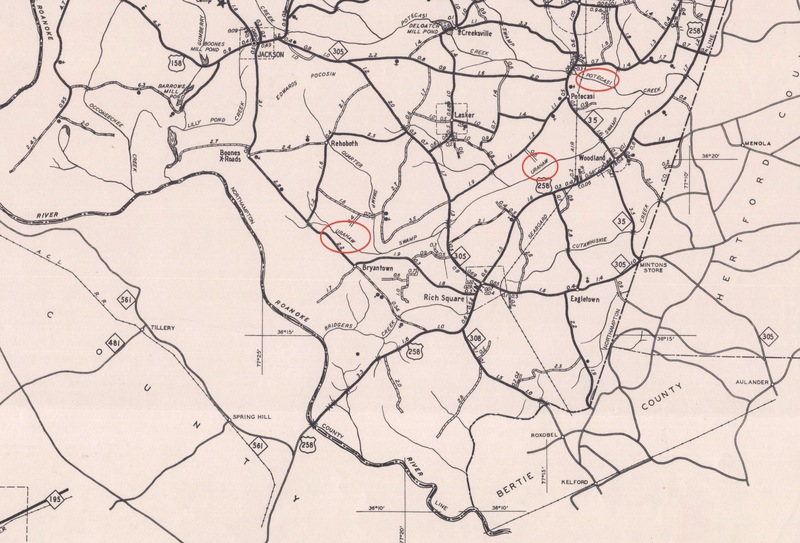 Micajah Hawley’s other three sons – Joseph, William, and Christopher Hawley moved to Granville County by 1750/51 as indicated by tax records. Christopher has no known descendants, so our discussion focuses on Joseph and William. Joseph Hawley (1725-after 1791) first appears in the Granville tax lists in 1750. In 1754, he enlisted in Indian trader Col. William Eaton’s colonial regiment which I had previously blogged about here. 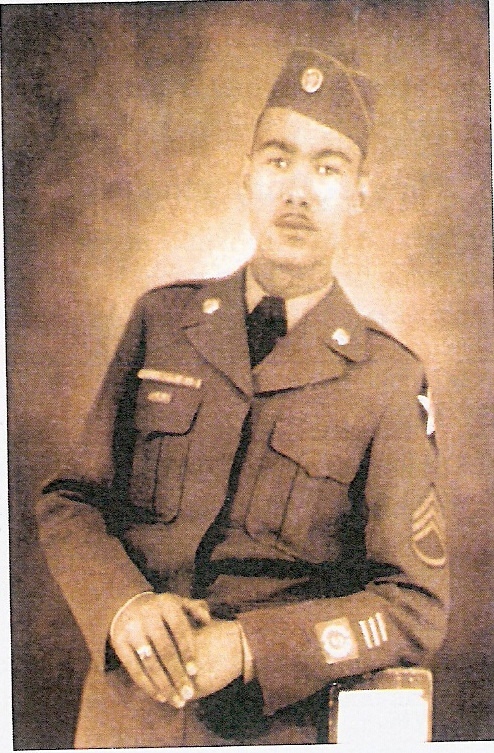 Joseph was married to Martha Harris who came from the Native American/”free colored” Harris family. 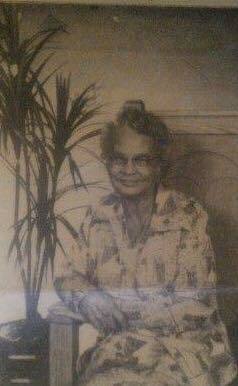 Her brother Edward Harris was my 6th great-grandfather. 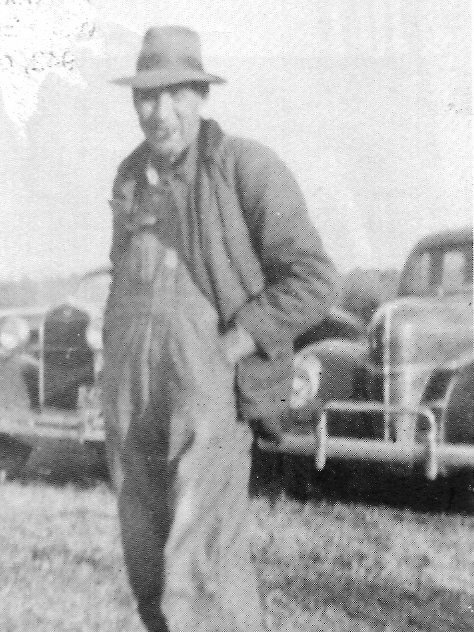 Records place Joseph Hawley’s land in the Fishing Creek district, which is part of community founder William Chavis’ original massive land tract. So we know Joseph and his family lived in the heart of the community. Though he died before filing a pension, Joseph was apparently a Revolutionary War soldier because in 1791, he gave power of attorney to a man named Thomas Bevan to collect wages that were due to him for three years of military service. 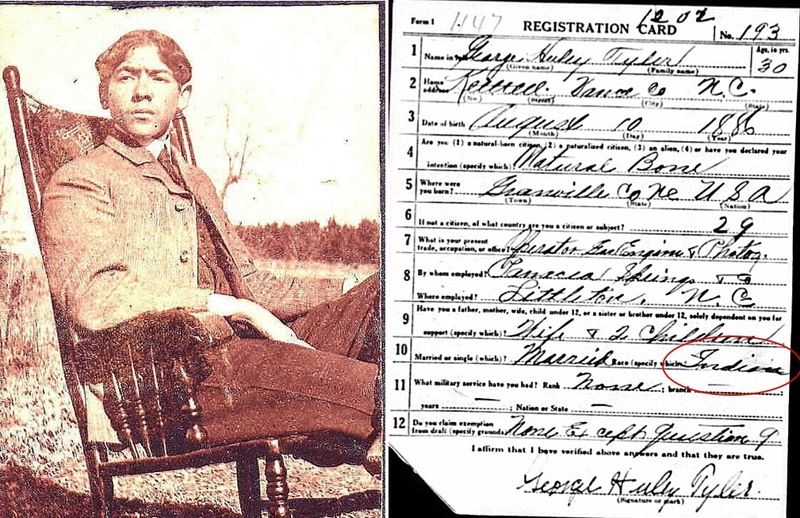 All but one of Joseph Hawley’s children remained in Granville County and continued marrying members of the Native American community. Son Jacob Hawley (1751 – after 1810) was second married to a woman named Liddy. 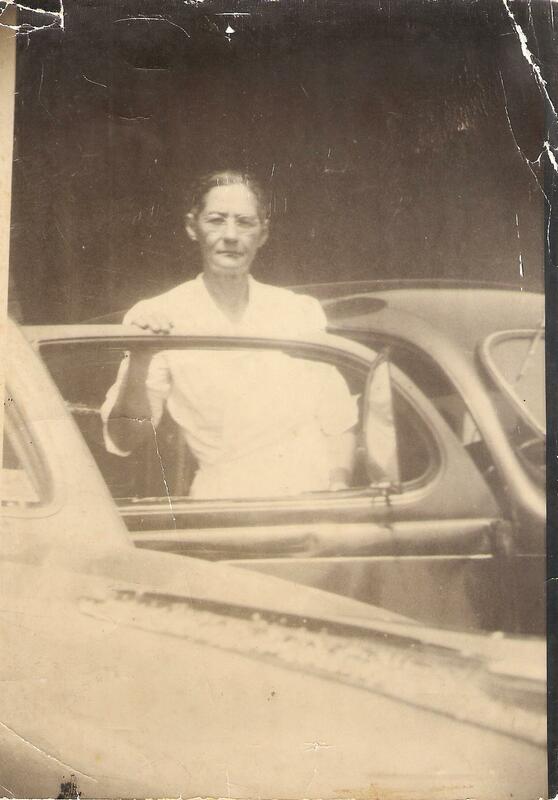 Her maiden name did not get properly recorded in the marriage certificate, but Benton Taborn was the bondsman which suggests that Liddy was probably a member of the Native American/”free colored” Taborn family. Son Benjamin Hawley (1765 – ?) fought in the Revolutionary War with Joseph for 9 months and Joseph also gave power of attorney to Thomas Bevan to collect Benjamin’s wages. 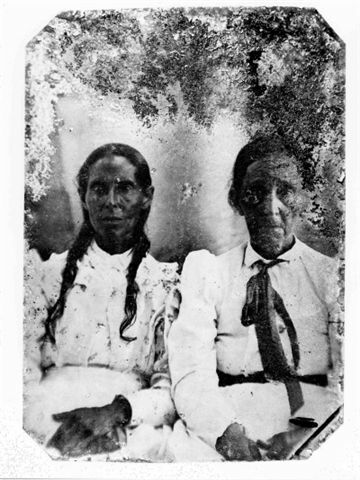 Daughter Mary Hawley (1749-1848) married Isham Mitchell from the Native American/”free colored” Mitchell family. 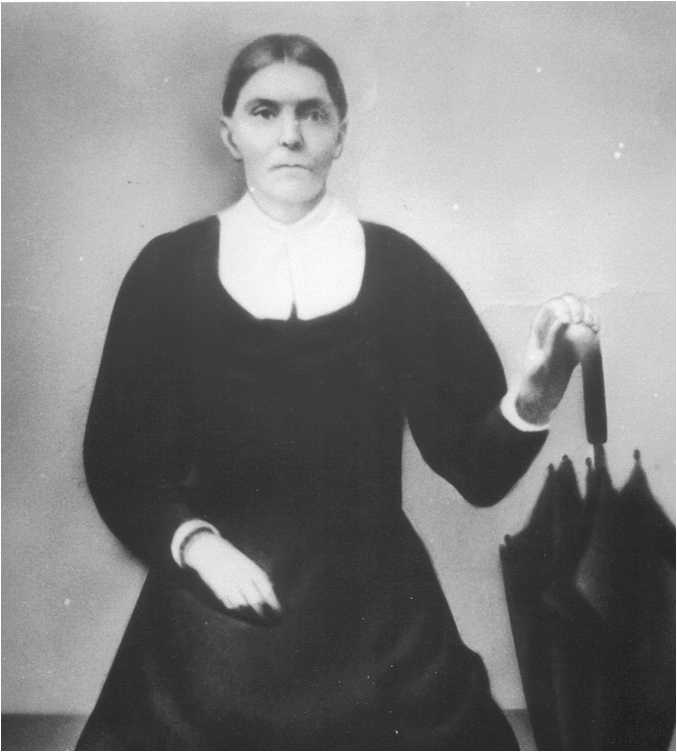 According to the pension application for Isham Mitchell’s Revolutionary War service, Mary Hawley-Mitchell was also known as “Molly Craven”. I have not figured out where this nickname comes from but perhaps there are some important clues there. Son Nathan Hawley (1755-after 1820) remained in Granville for most of his life. Son Jesse Hawley (1760-after 1830) had a child named Labon Taborn with a member of the Taborn family in 1784 in Granville County. 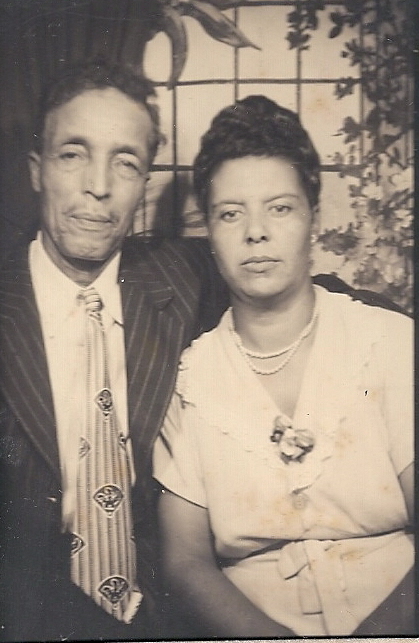 Labon Taborn later married Ann Tyner, granddaughter of community founder William Chavis. 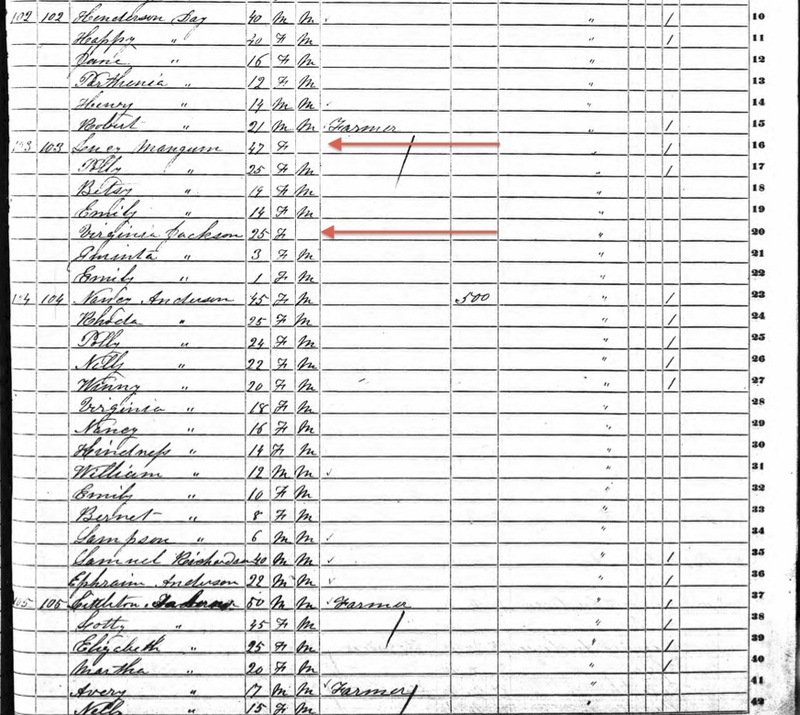 By 1800, Jesse Hawley had moved to nearby Halifax County, NC and was married to Winnifred Carpenter which is reflected in the census and tax records. 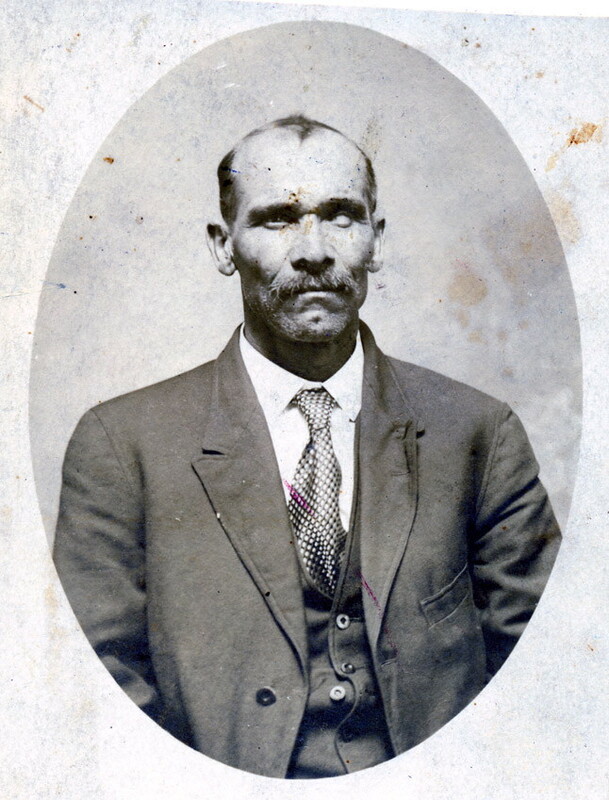 Jesse was also the father of Henry Holly (1785-after 1860) who is the progenitor of the Holly family that intermarried with the “core” Richardson family of the state recognized Haliwa-Saponi tribe in Hollister, NC. This branch of the family often switched between the “Hawley” and “Holly” spellings of the surname. 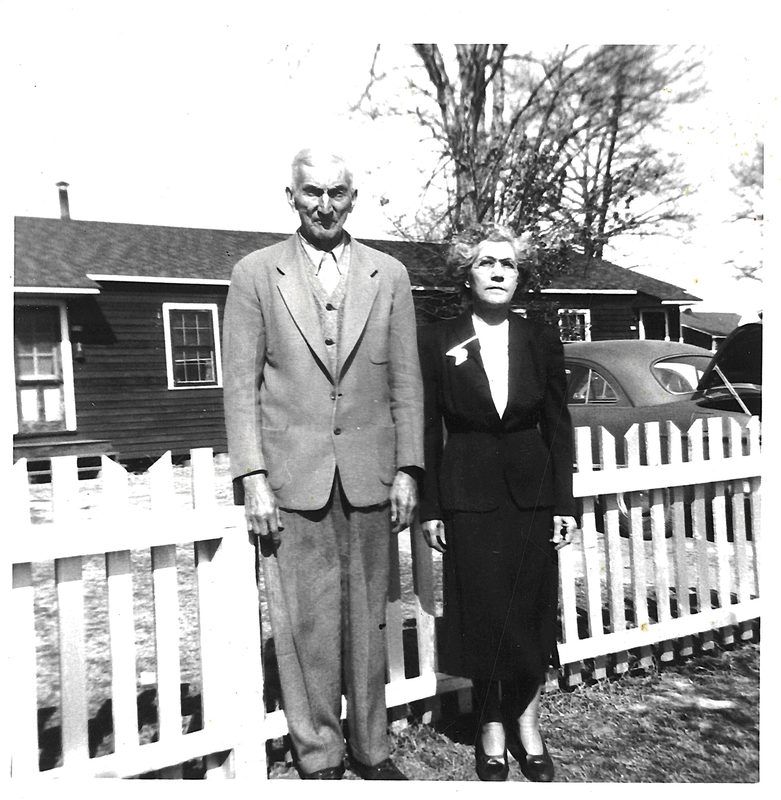 “Babe” Andrew Hawley (1883-19231) was the son of the above pictured Thomas Hawley and Bettie Dunstan-Bass of Walnut Grove township in Granville County. 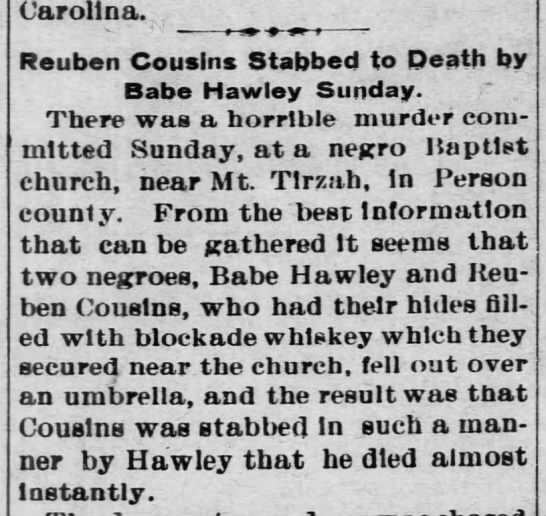 According to this news article, “Babe” Andrew Hawley was a suspect in the stabbing death of Reuben Cousins, another member of the community. Some details are given in the article but I could not find a follow up article to see if Babe was tried and convicted for homicide. Whatever his punishment may or may not have been, he continued to be recorded in the census on his own property in Granville County. 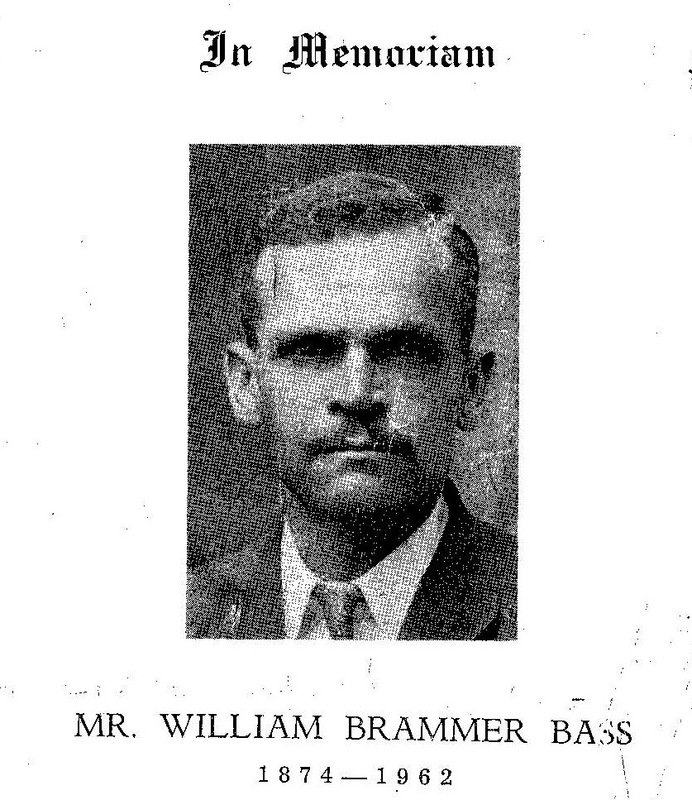 If any of Babe’s descendants know what happened with this case, please contact me. 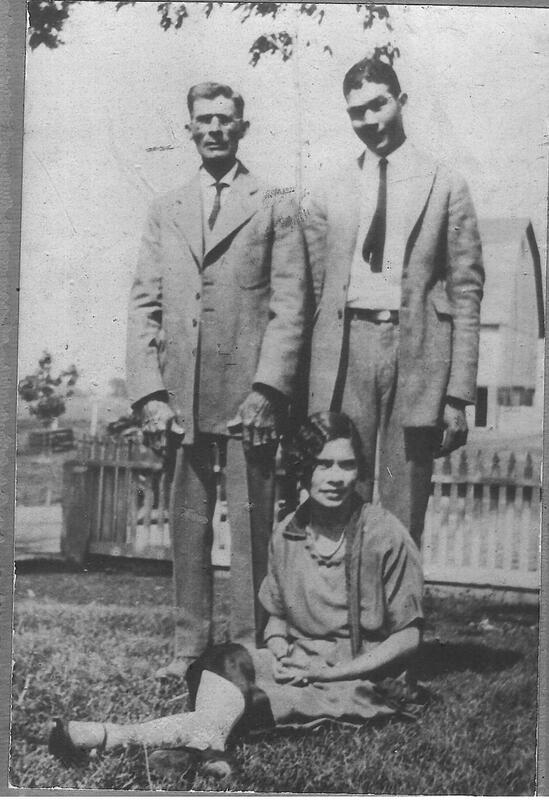 Arthur Richardson (1906-1997), Roger Richardson, and Drue Bell Richardson (1896-1995). 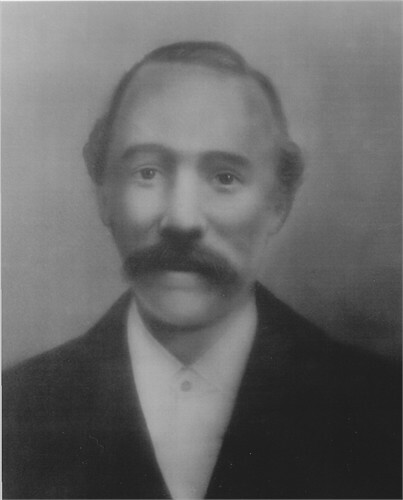 Arthur Richardson and Drue Bell Richardson were brothers to above pictured William Wardell Richardson. 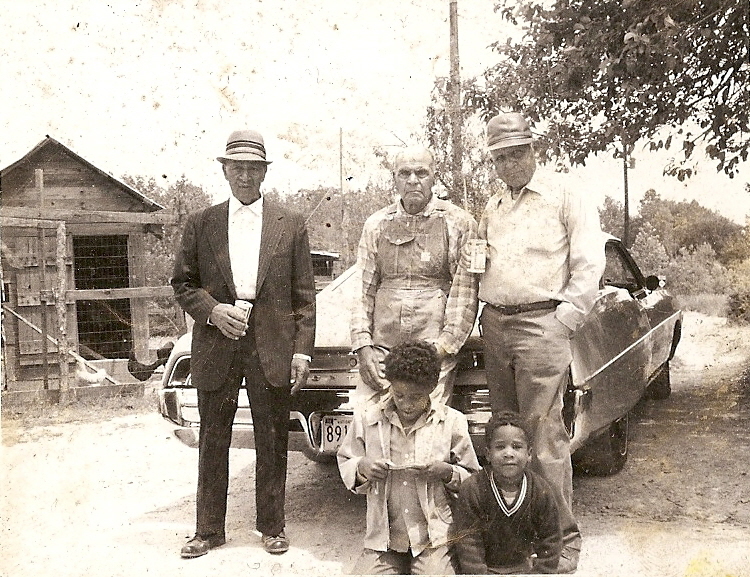 They’re pictured in Hollister, NC with their cousin Roger Richardson and two of their grandchildren. 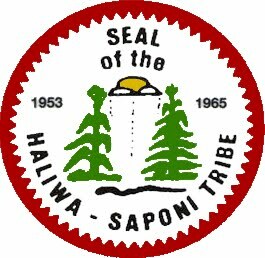 Their family as well belongs to the Haliwa-Saponi tribe. 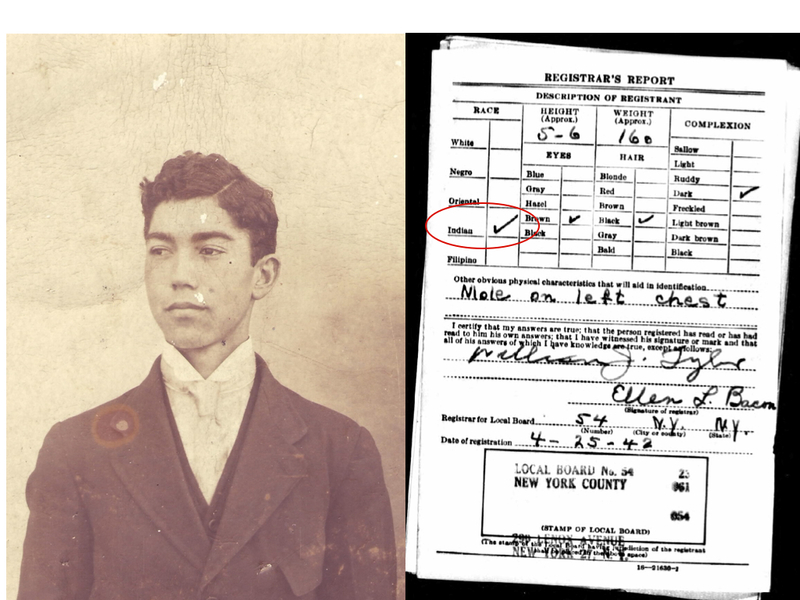 When we look into the records for Joseph Hawley’s brother William Hawley, more clues of their tribal origins emerge. William Hawley (1728- after 1772) first appears in the Granville County records in 1751. 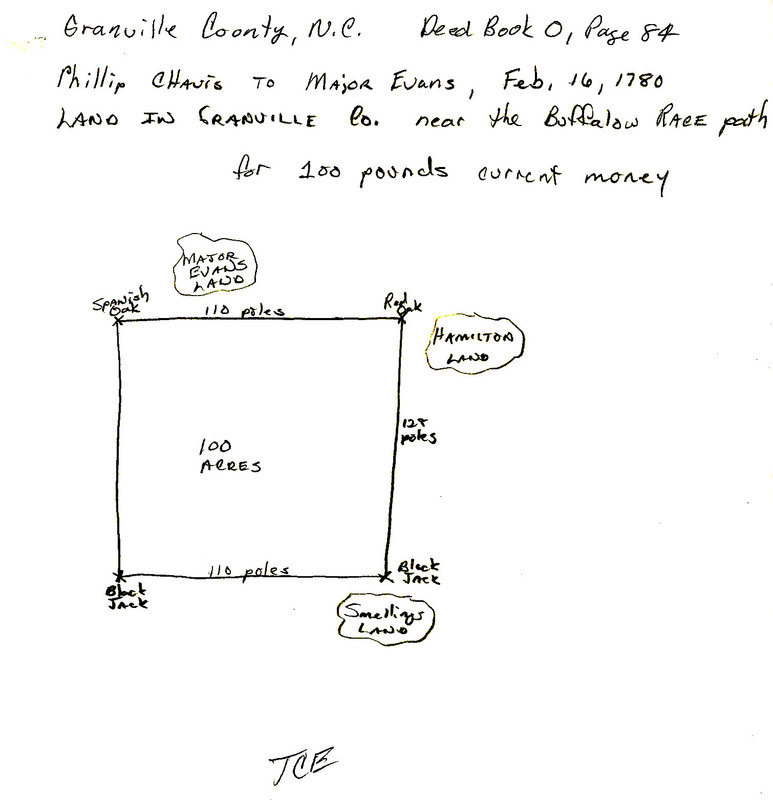 However it appears through tax and land records that he was moving back and forth between Granville and South Carolina. He was married to Amy Scott, daughter of John Scott (1700- ?) 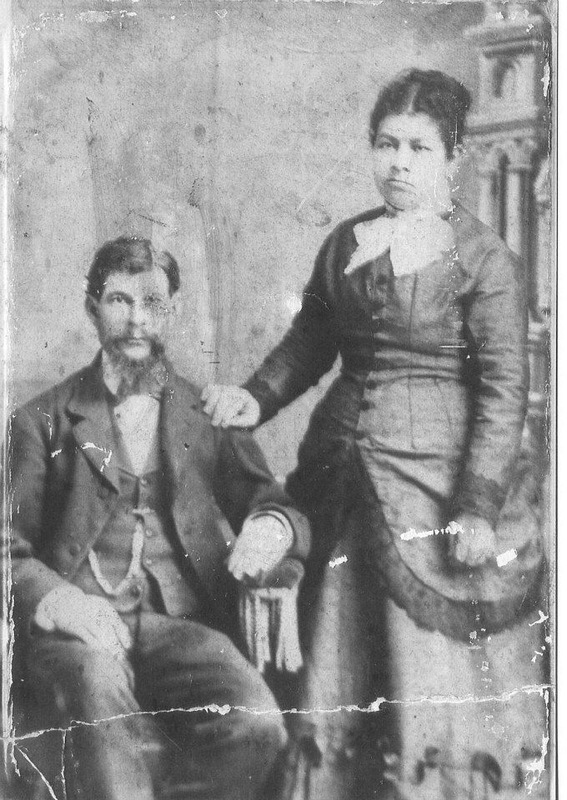 of the Native American/”free colored” Scott family. 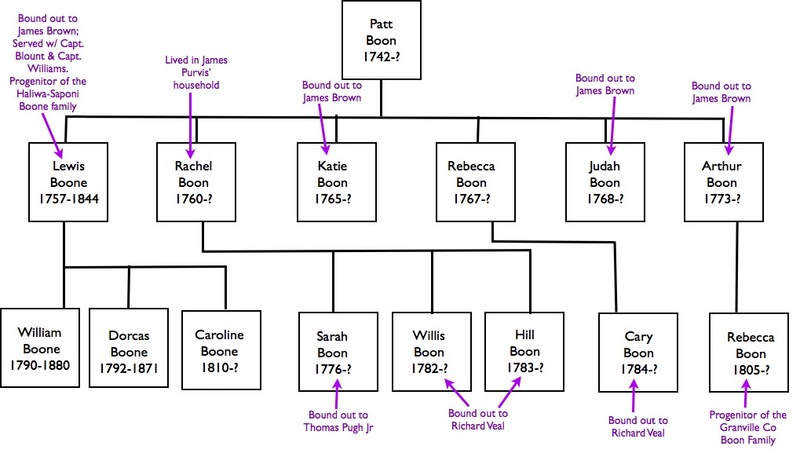 Amy Scott’s brother William Scott was married to a daughter of “King Hagler” (1710-1763), chief of the Catawba Nation (Per communication with descendants of the Scott family; look here and also take a look at Steven Pony Hill’s research on the Scott family here). The Scott family as well is documented moving back and forth between North Carolina and South Carolina during this time. And though not in very high numbers, the Scott family also resided in and were a part of Granville’s Native American community. In 1754, a group of men kidnapped Amy (Scott) Hawley and her children from their home in South Carolina to be sold into slavery in North Carolina. Though the Scott and Hawleys were free-born, this did not prevent some colonists from attempting to enslave them (see my blog entry on the illegally enslaved descendants of Jane Gibson the elder, an Indian woman). At least one of these kidnapped children named “Busby alias John Scott”, appears to have been born to Amy (Scott) Hawley before she married William Hawley. Amy’s father John Scott directly descends from an Indian man named Thomas Busby who was documented as a servant to Robert Caufield in Surry Co, VA in 1684. 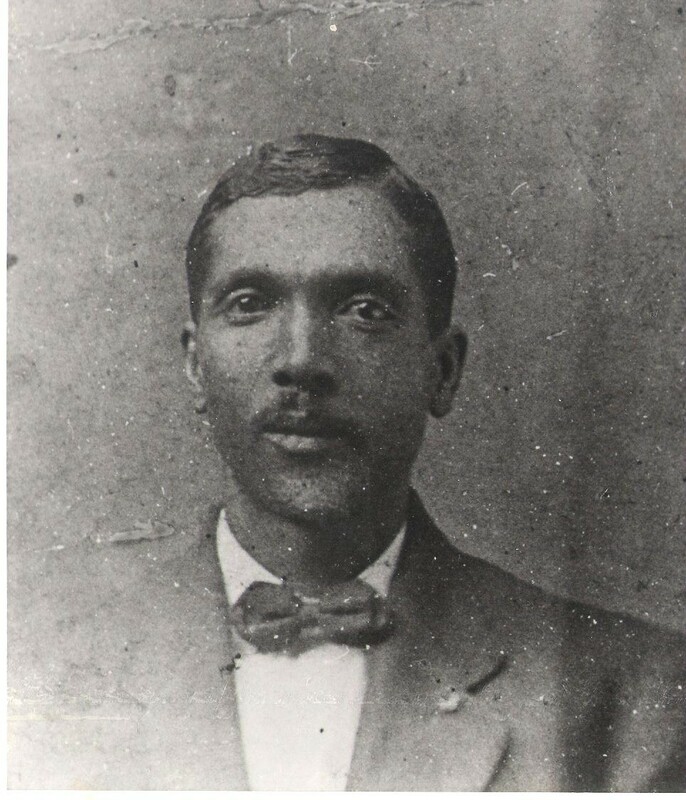 This Indian servant Thomas Busby is thought to be named after a colonist also named “Thomas Busby” who was an Indian interpreter that lived in Surry Co, VA. It was common place for Native Americans to adopt the names of Indian traders and other “friendly colonists”. 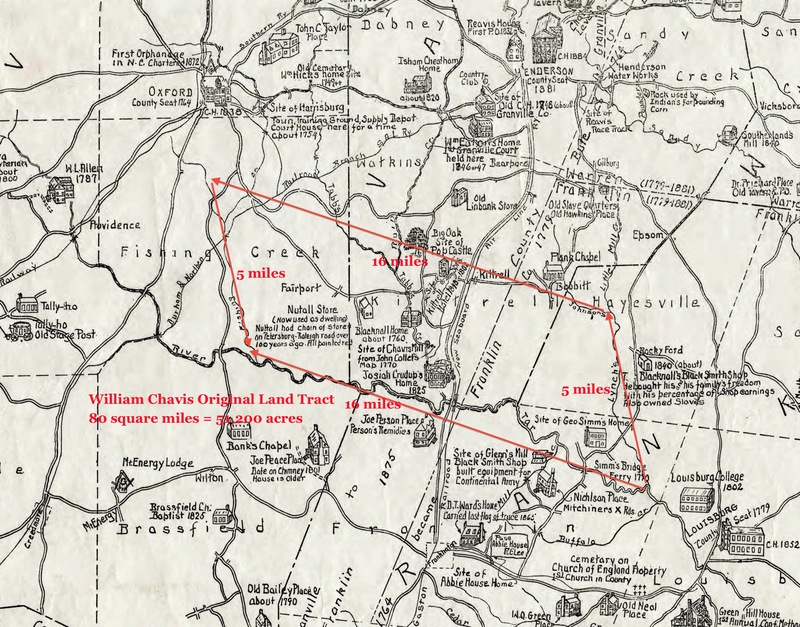 The last confirmed record of William Hawley is in 1772 for 225 acres of land he owned in now extinct Craven County, SC. In the early 1800s, several “free colored” Hawley/Holly families appear in the census records for South Carolina and these likely are descendants of William Hawley and Amy Scott. Source: 1743 British Records on Microfilm, #2.5 132 N. Colonial Office 5/1326:10B-19B, August 22, 1743. N.C. Division of Archives and History, Raleigh. 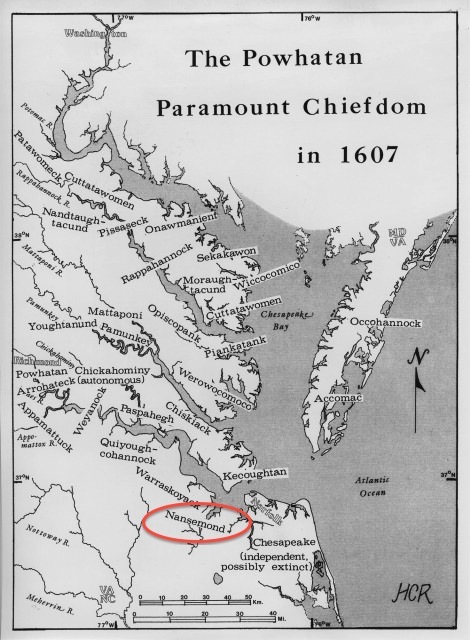 However in 1748, the Saponi decided to return to their homelands on the Virginia/North Carolina border area. This brief stay in the 1740s, is similar to another brief stay the Saponi had with the Catawba in 1729-1732, as noted by William Byrd and John Mitchell. 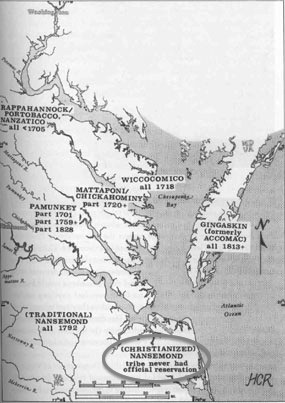 We know this group of Saponi returned to Virginia/North Carolina by 1733 when Lt. Governor William Gooch granted them permission to come back. 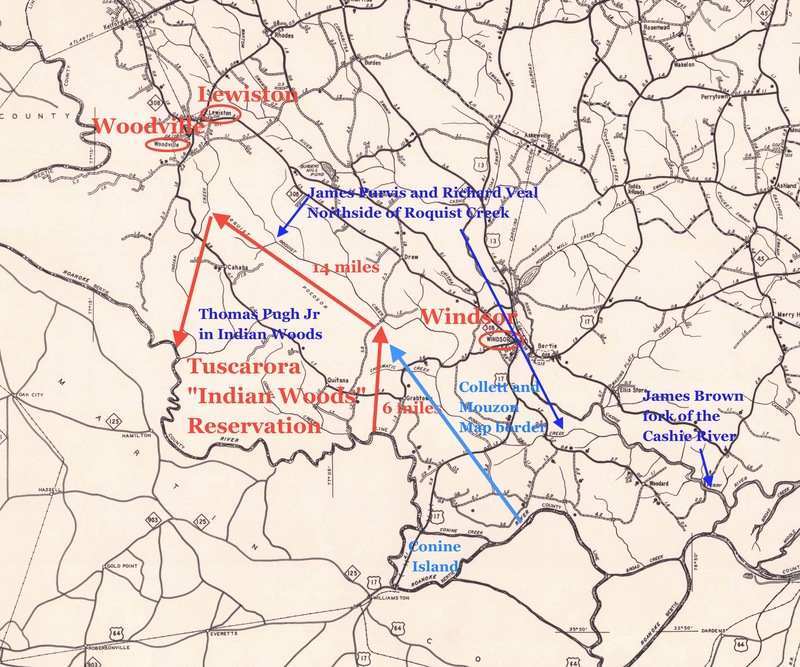 These brief moves onto the Catawba reservation were likely a result of conflicts the Saponi had with settlers and with other tribes. During the mid 1700s, the Cheraw, another tribe closely related to the Saponi and Catawba, also sought refuge with the Catawba. So the Saponi who lived among the Catawba, most likely not only intermarried with the Catawba but also the Cheraw. 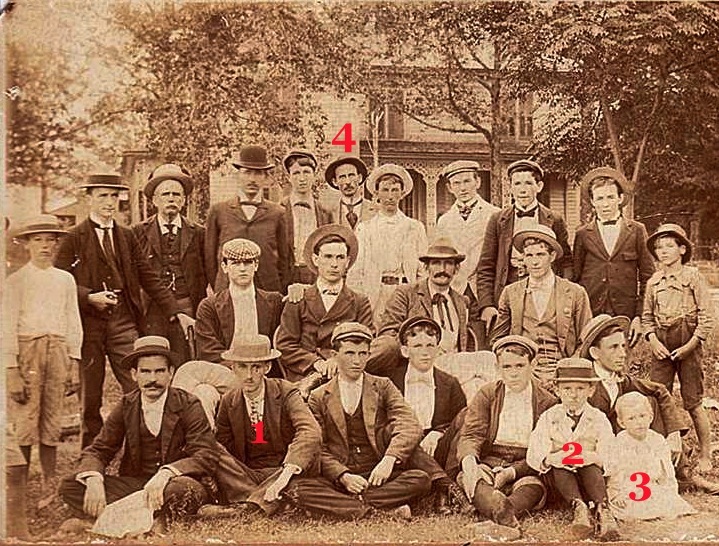 So knowing that the Saponi had at least two brief stays with the Catawba, let’s revisit the Hawley family again. 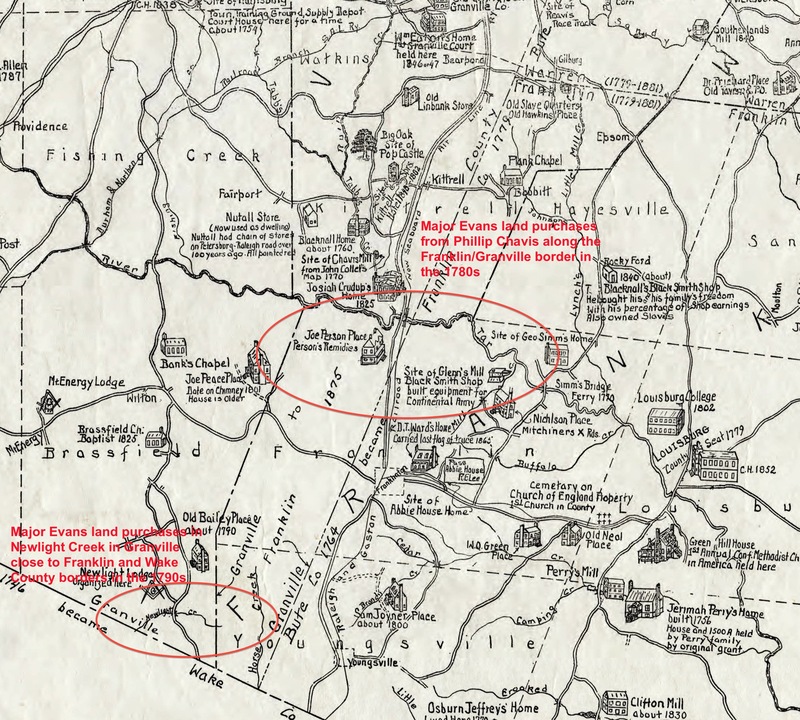 Very little is known about Micajah Hawley’s origins prior to his land purchase in Bertie (modern Northampton) in 1731. I suspect he moved down to Bertie/Northampton sometime after Fort Christanna closed in 1718. It is also possible that Micajah was part of the group of Saponi that moved in with the Catawba in the early 1730s. The “Portuguese Community” in Northampton County largely descend from Saponi who left Fort Christanna (per communication with descendants of the “Portuguese Community”). Though later called “Portuguese” by neighboring whites, the people are not ethnically Portuguese and the label was one of the many misnomers attached to Native Americans peoples in the Southeast. 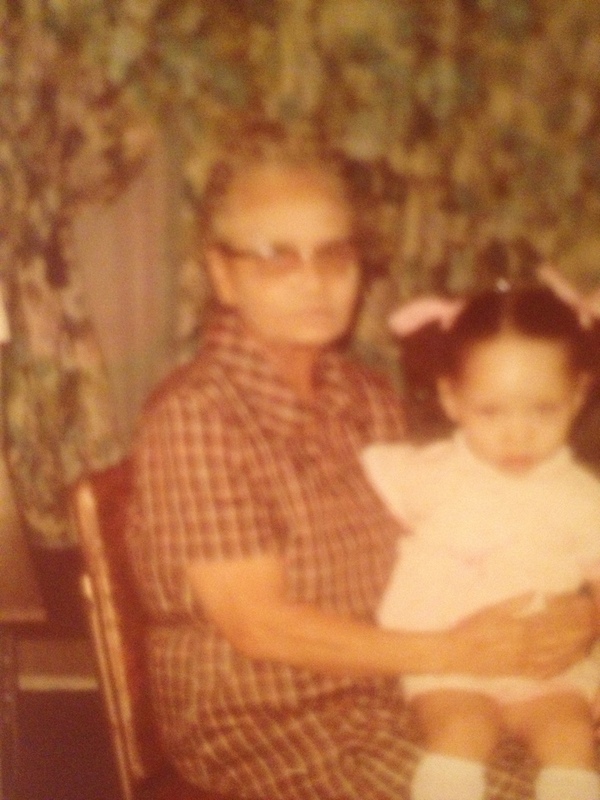 Knowing that Micajah Hawley’s family who remained in Northampton County intermarried with the “Portuguese Community’s” Newsom family, suggests that he had a connection to this community. 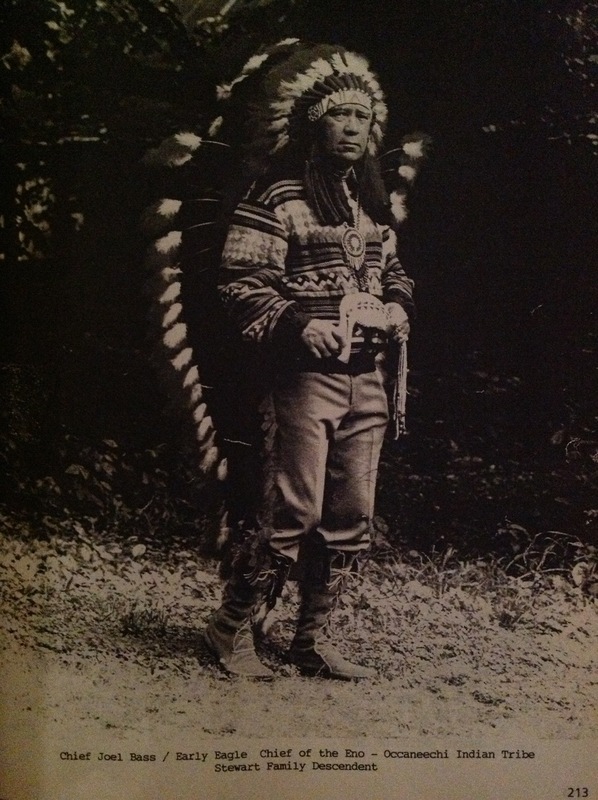 However Micajah’s other children were likely part of the Saponi movement to and from the Catawba reservation. This seems to be especially true for son William Hawley who is recorded in South Carolina and became an extended family member of King Hagler of the Catawba. 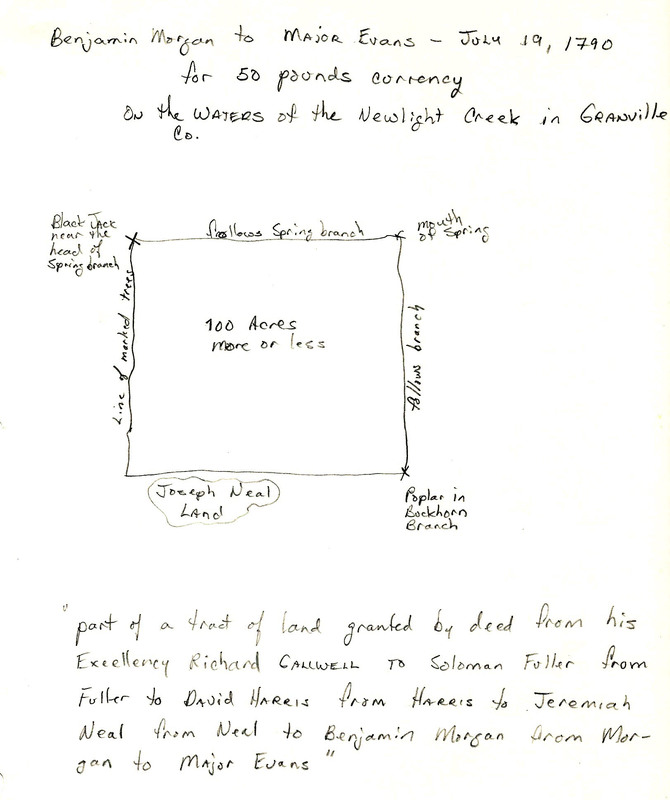 Note that the Great Indian Trading Path runs through Granville County down to Catawba territory. Indian trader Col. William Eaton lived in Granville and is noted for having Saponi living next to his land and enlisting in his regiment. 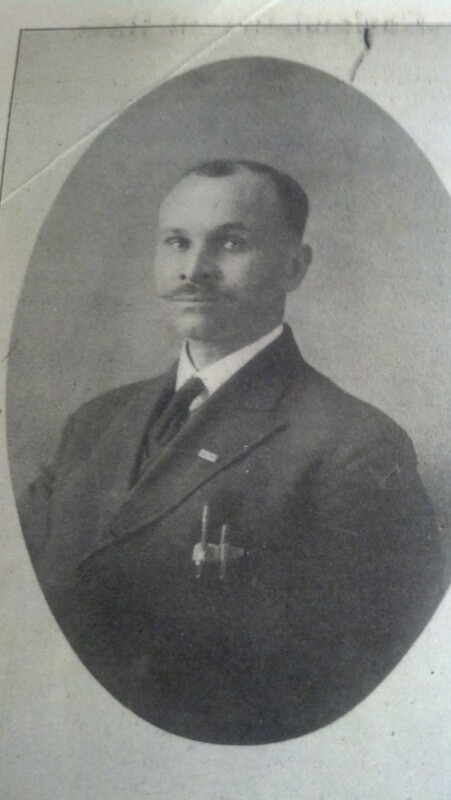 The Hawley family lived in the heart of Granville’s Native American community and Joseph Hawley enlisted in Eaton’s regiment. 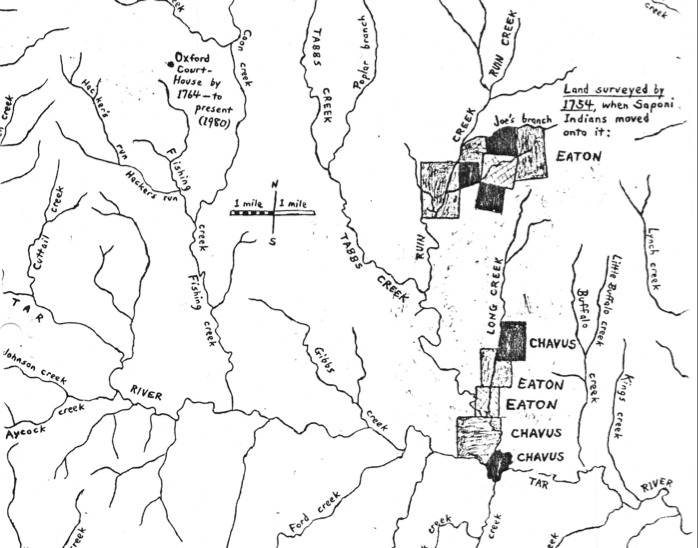 Knowing that the Saponi lived among the Catawba for protection from colonists and other tribes, it certainly makes sense that they would return to Granville County when Eaton moved there. 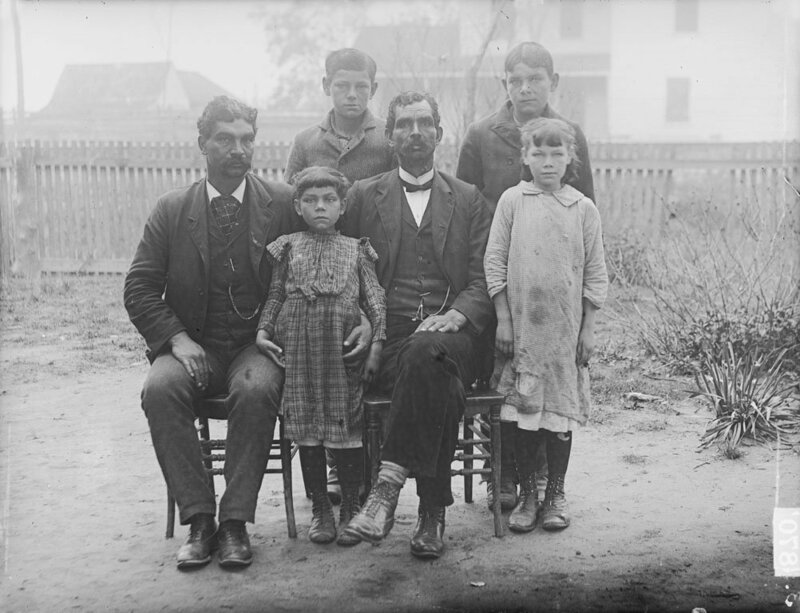 Living next to Eaton’s lands and having him and other friendly whites as allies, provided the Hawleys and other Native American families the protection they previously had while living among the Catawba.